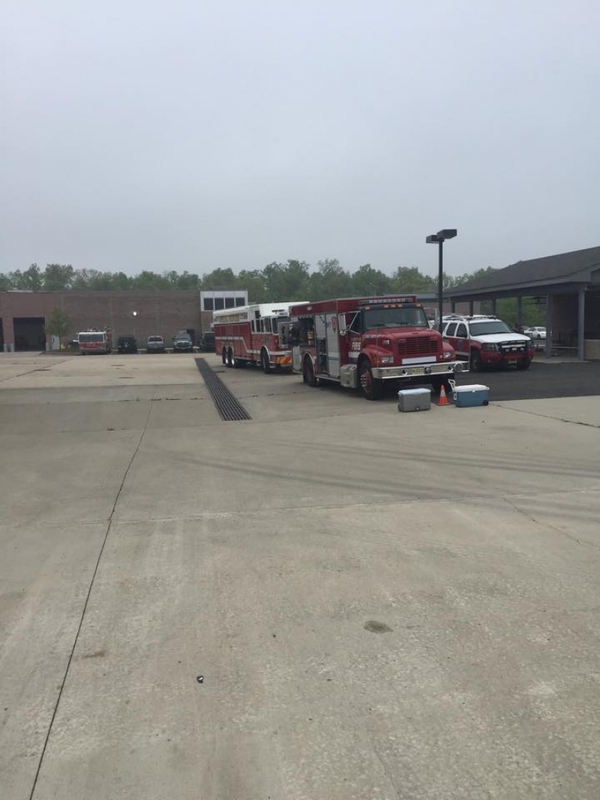 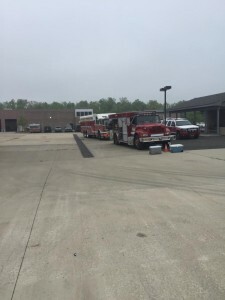 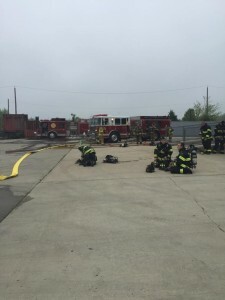 Stations 26 and 28 along with Station 55 from South Bound Brook held a Joint Company Drill today at Somerset County Emergency Services Training Academy. 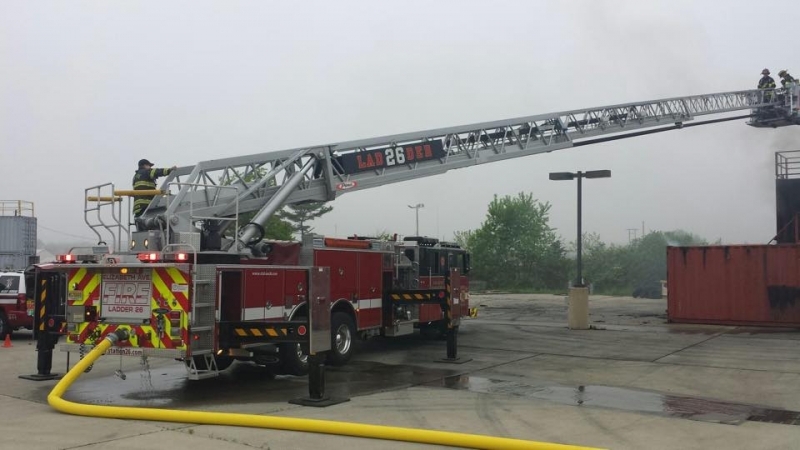 The drill consisted of units operating in the Phase 5 as well as Master Stream Operations using Tower 26. 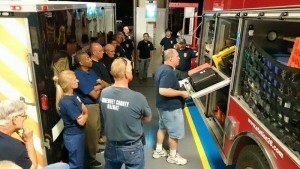 This gave us the opportunity to cross train on the apparatus as well as mix crews. 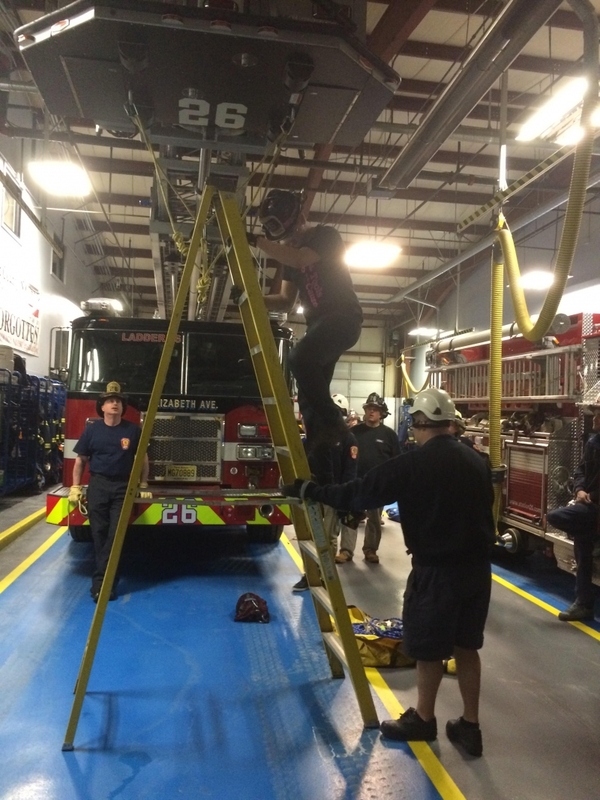 The last month we have been rather busy at Station 26. 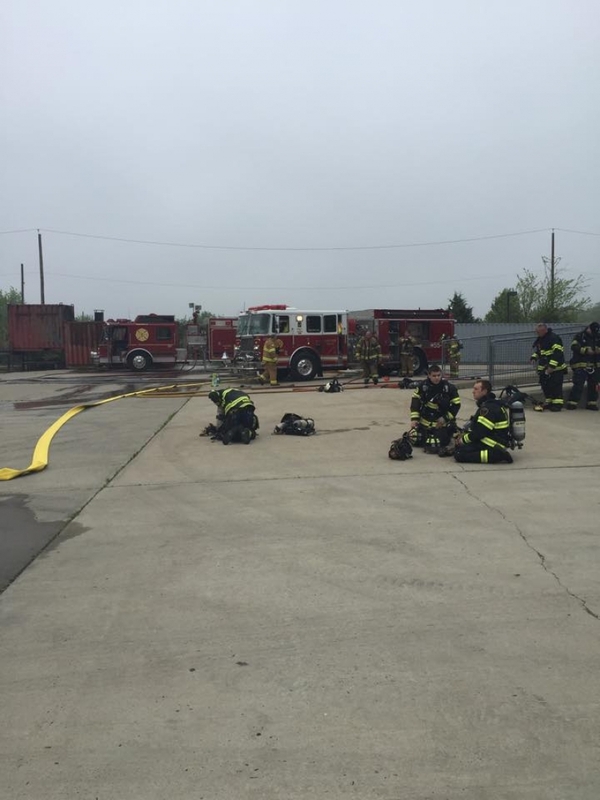 We have had training sessions and responded to several Structure Fires, as well as misc. 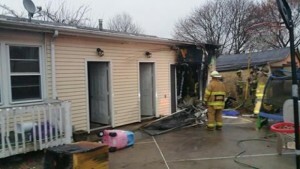 incidents. 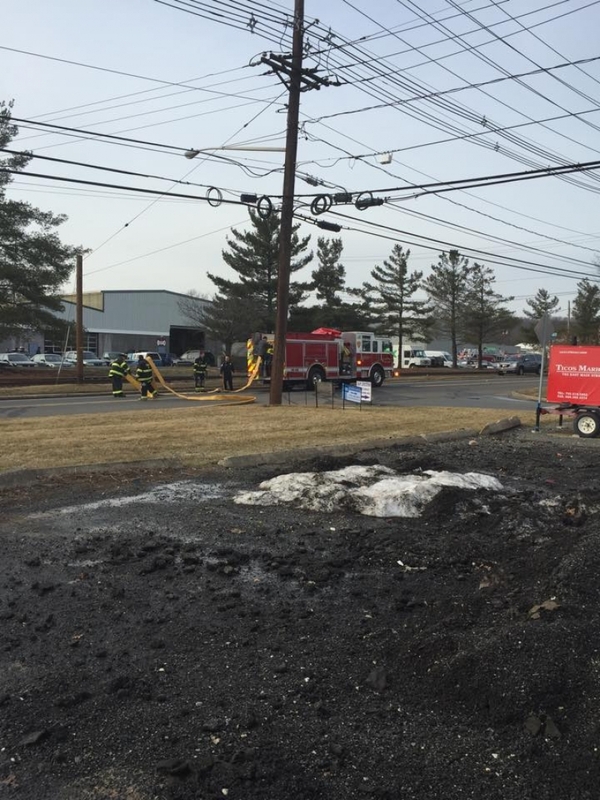 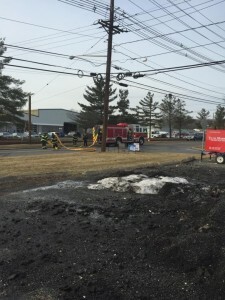 March 16: Station 26 and 56 Fast Team were assigned to a 2nd alarm structure fire on Chimney Rock Road in Bridgewater in the industrial complex. 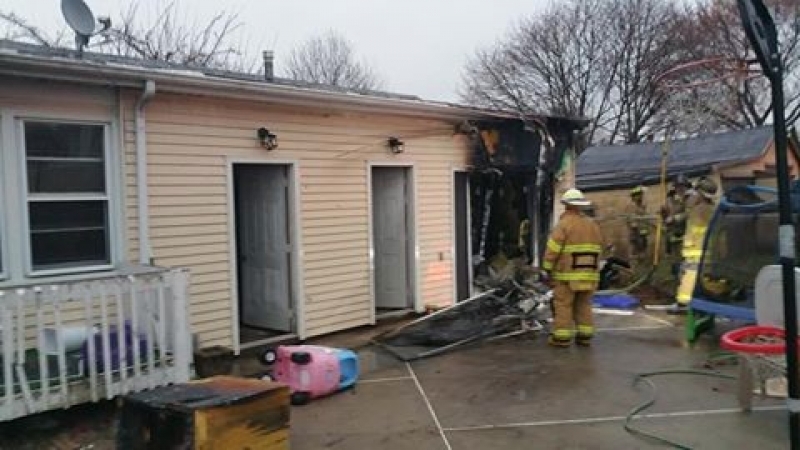 March 18th: Car 26 and Tower 26 responded and operated as a RIT at a 3rd alarm fire in Middlesex Borough in a Condo Complex. 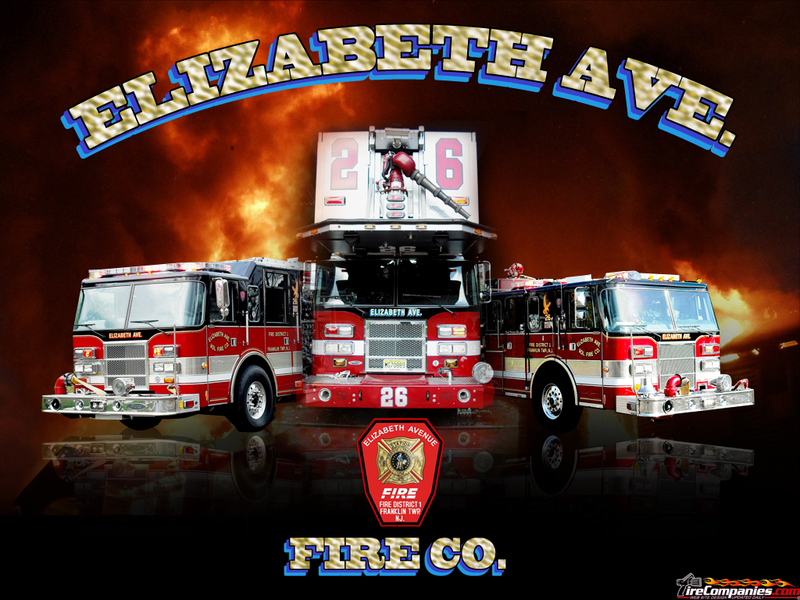 April 7th: Car 26 and Engine 261 operated as a RIC at a residential structure fire in D3 on Ambrose Avenue. April 8th: District #1 responded to an explosion at the Double Tree Hotel with 10 persons injured. 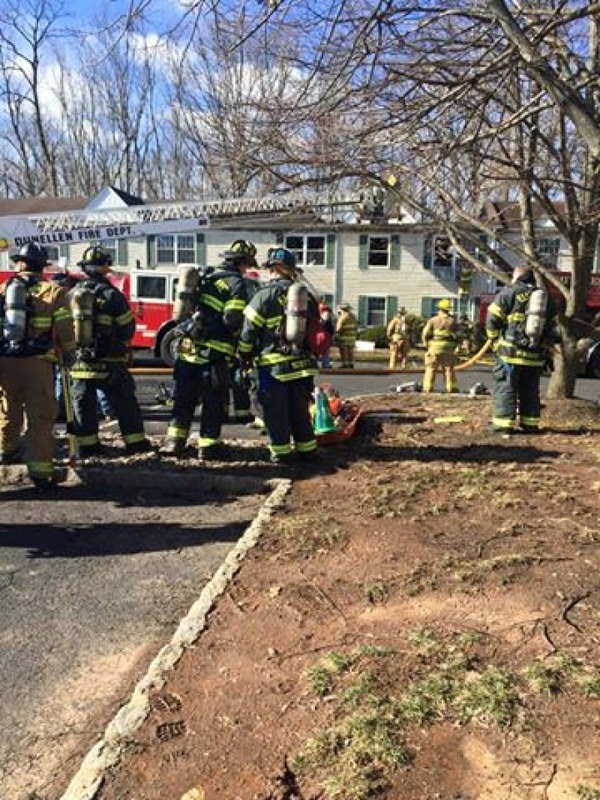 There was no fire upon arrival and crews assisted EMS units with the injured. 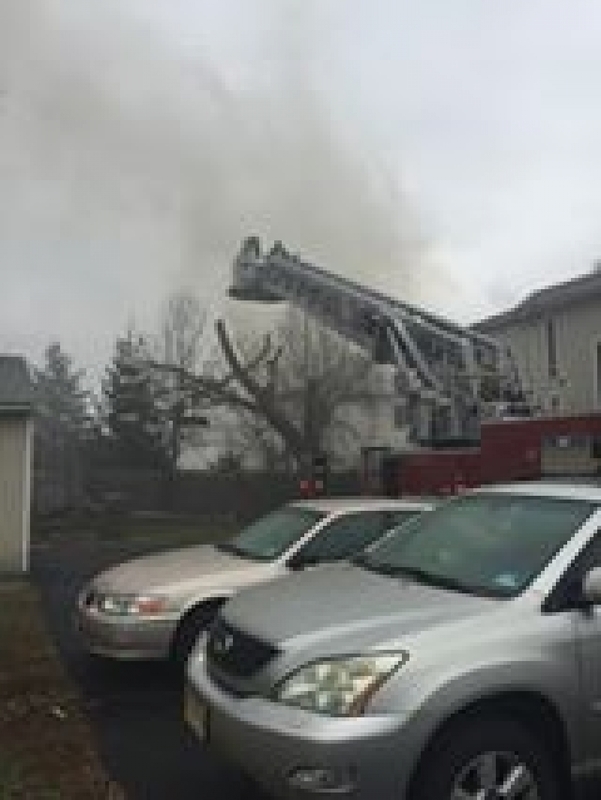 April 9th: Tower 26 and Chief 26 responded into Middlesex Borough for a 3 alarm fire on Union Avenue in a residential structure. 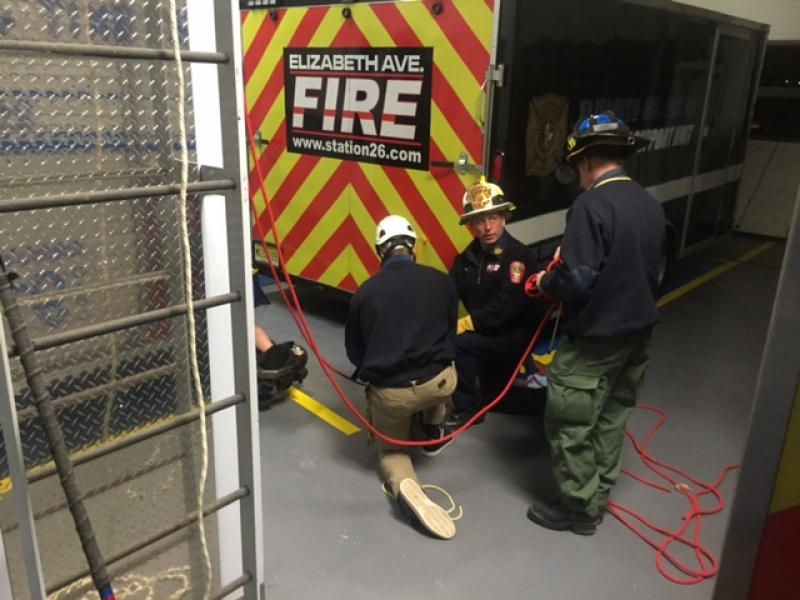 Part of our crew served as a RIT and Tower 26 went into operations for a master stream. 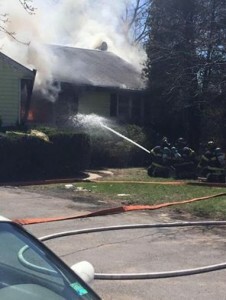 April 11th: Station 26 along with the rest of District #1 responded to a 3rd alarm fire on Willow Avenue in our District. Aside from these and other service calls we continued to train. 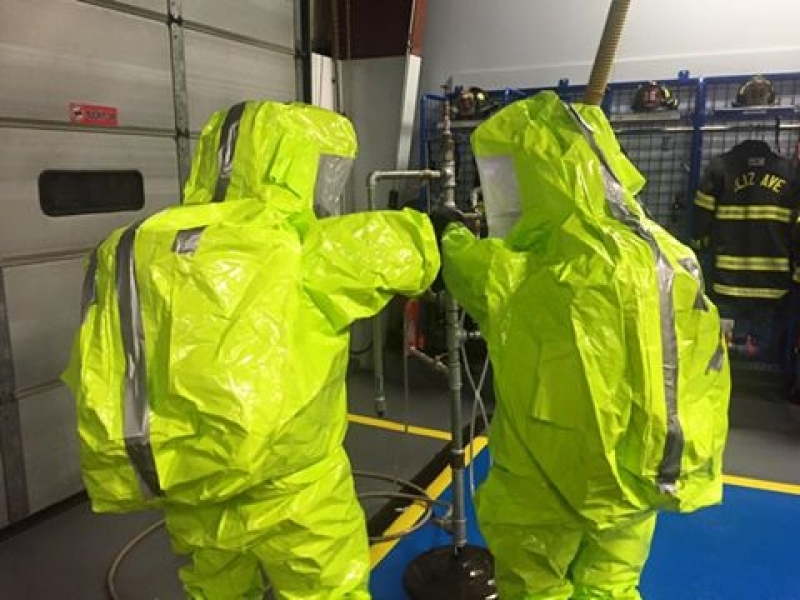 On March 26 members of our HazMat Team performed confidence drills and leak control in Level A suits. 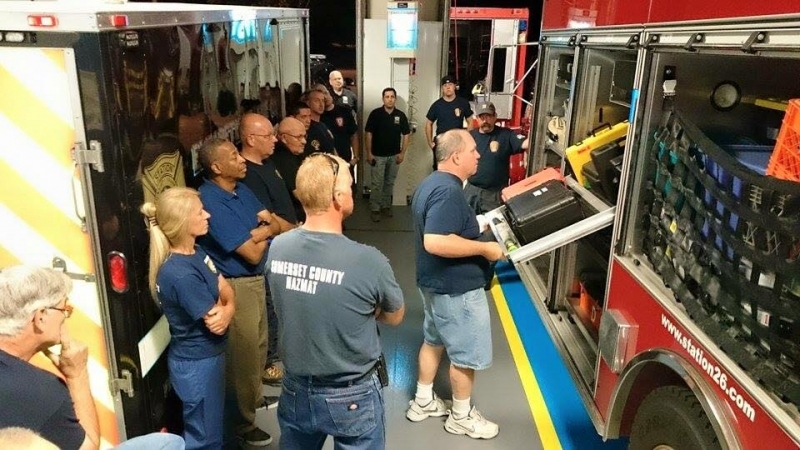 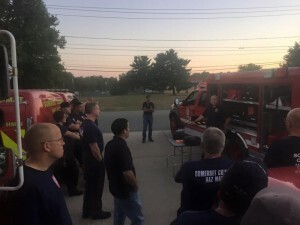 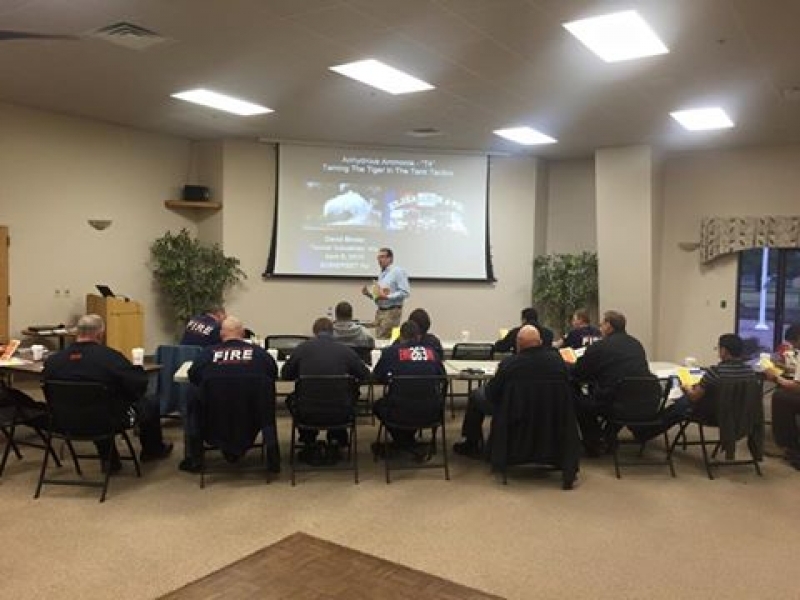 On April 5th our HazMat Team, along with members of the Somerset County HazMat Team, had a guest speaker lecture on Anhydrous Ammonia Emergencies. 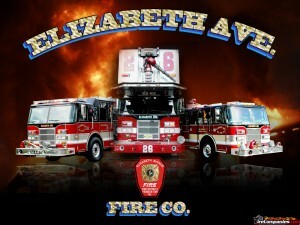 Visit us on Facebook for more pictures and updates. 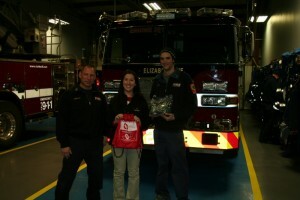 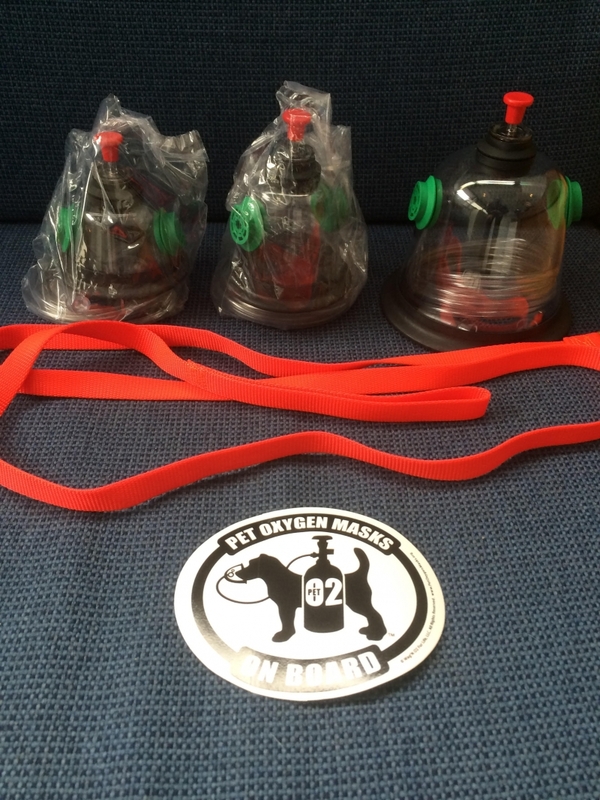 Station 26 recently received a donation of pet oxygen masks from the Canine Company's Project Breathe program. 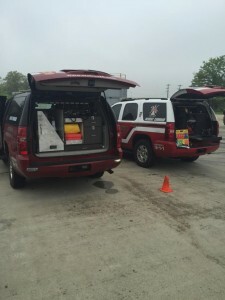 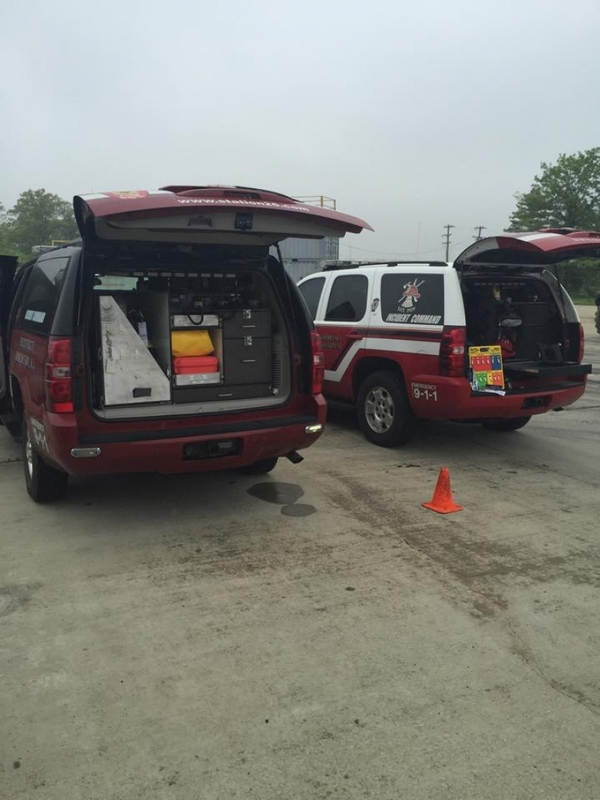 Each of our apparatus as well as Car 26 and Car 26B have been equipped with the kits. Each kit contains 3 sizes of masks as well as necessary O2 tubing. Project Breathe™ is a pet oxygen mask donation program that allows local fire departments to access oxygen mask kits to first responders. 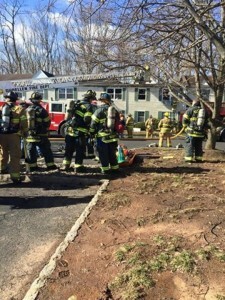 Various sources estimate that up to 150,000 pets die each year in fires, most succumbing to smoke inhalation. In most states, emergency responders are not equipped to deal with the crisis because they lack specially designed pet oxygen masks. 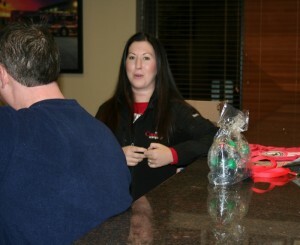 Alison explaining contents and how to use masks. 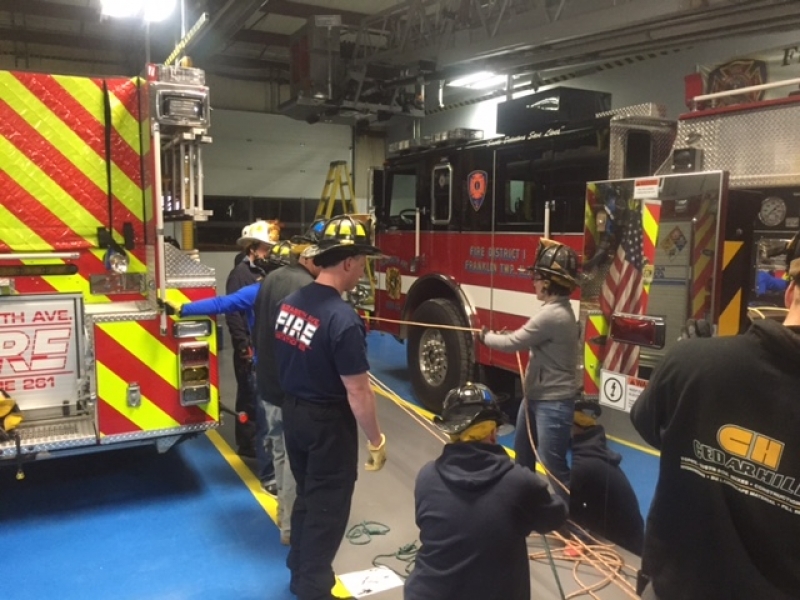 This evening members of Station 26 brushed up on our rope skills. 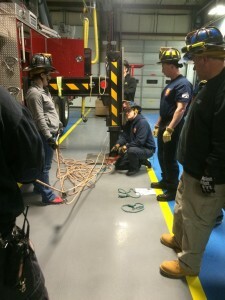 Training included basic knots, lifting of tools and setting up 3:1 and 4:1 rigging systems. Deputy Kowalsky demonstrates securing tools for lifting.